It is quite easy to monitor VMWare infrastructures in Nagios XI. All you need to do is run the VMWare monitoring wizard, provided you had previously installed the VMWare Perl Software Development Kit (SDK) on the Nagios XI server. 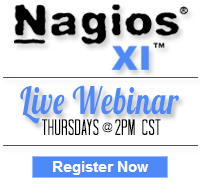 Note: To learn how to install SDK, please, refer to our “Nagios XI – Monitoring VMWare” document. From the Nagios XI web interface, click on the “Configure” menu and select “Run the Monitoring Wizard”. 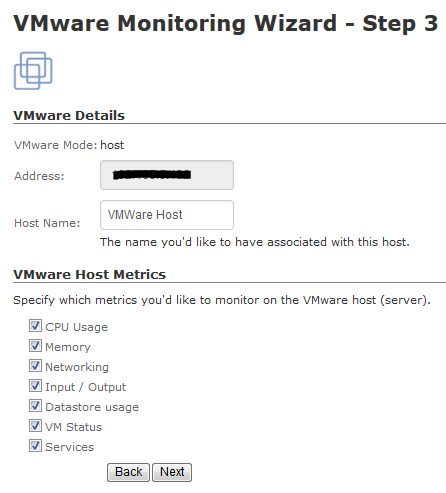 Scroll down to select the VMWare monitoring wizard. 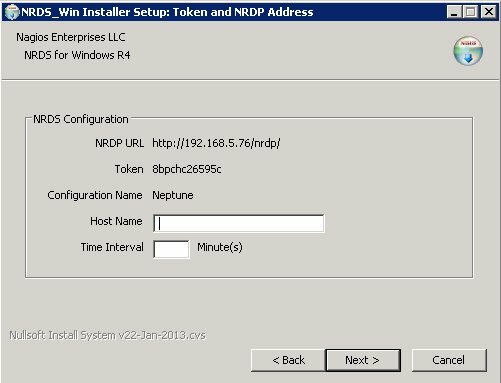 Enter the IP address of the VMWare server, login credentials, select what you would like to monitor (VMWare host or a guest), and click “Next” to proceed. In Step 3 of the wizard, you will have to select the metrics that you would like to monitor such as CPU Usage, Memory, Services, etc. Category: Configuration, Nagios XI, VMWare and Wizards. 3 Comments Tags: esx, esxi, Infrastructure, monitoring, nagios xi, Server, vcenter, vmware, Workstation.